The water level in 91 major reservoirs across the country is at 36 per cent of total live storage capacity, according to Central Water Commission official statement. As of March 01, 2018, there was 57.684 billion cubic metres (BCM) of water in the reservoirs. It is noteworthy that the level has dipped by 7 per cent in last one month (69.887 BCM water in the reservoirs as dated on Feb 1, 2018). The current level of water storage is 89 per cent of the storage of corresponding period in 2017 and 91 per cent of storage of average of the last 10 years. 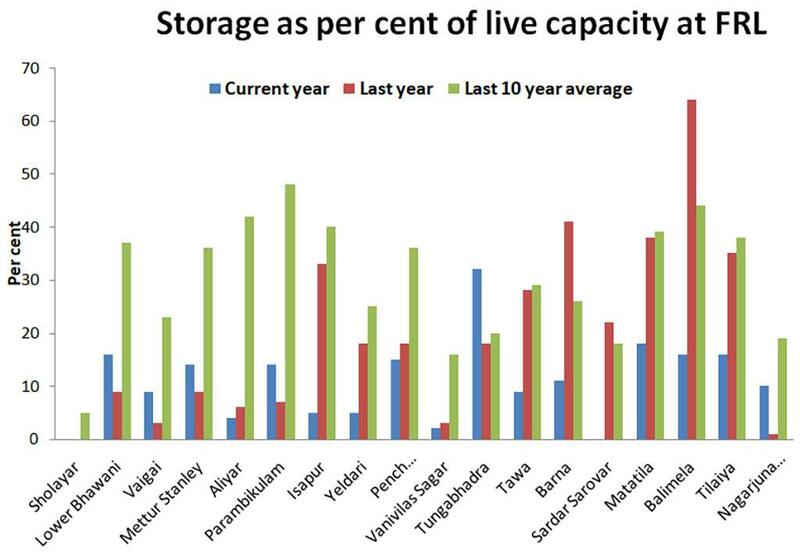 Out of 91 reservoirs, 58 reservoirs reported more than 80 per cent of normal (average of the last 10 years) storage, 33 reservoirs reported 80 per cent or below of normal storage. The condition is worse for Punjab, Rajasthan, Jharkhand, Odisha, Gujarat, Uttar Pradesh, Madhya Pradesh, Chhattisgarh and Telangana where lesser storage has been witnessed, when compared to the corresponding period in 2017. 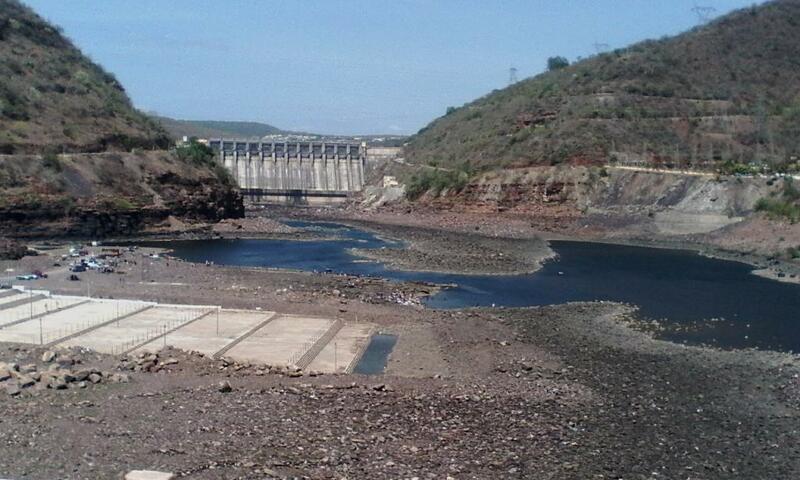 At present, around 18 reservoirs have water level below 50 per cent of normal storage capacity. Of these, six reservoirs (Sholayar, Lower Bhawani, Vaigai, Mettur Stanley, Aliyar, Parambikulam) are in Tamil Nadu, three (Isapur, Yeldari, Pench (Totaladoh) in Maharashtra, two (Vanivilas Sagar, Tungabhadra) in Karnataka, two (Tawa, Barna) in Madhya Pradesh, one each in Gujarat (Sardar Sarovar), Uttar Pradesh (Matatila), Odisha (Balimela), Jharkhand (Tilaiya) and Andhra Pradesh and Telangana (Nagarjuna Sagar). The water from most of these reservoirs has been utilised for hydropower generation and irrigation purpose. Overall water storage in reservoirs in Narmada, Tapi and Cauvery river basins is deficient. Flow of a river is the main variable that affects water loading in all major reservoirs. However, natural flow of nearly all rivers has been distorted. The flow in these rivers is a dynamic parameter and depends on many sub-parameters such as rainfall, its distribution and intensity in the catchment, health of catchment area, vegetation and withdrawals/utilisation of water. These factors directly influence the level of water in reservoirs. Erratic rainfall and deficient monsoon have brought water levels down in reservoirs in these states, says Biksham Gujja, Founder & CEO, Agri Sri, a Hyderabad–based organisation. One of the studies done by Karmakar et al (2017) and published in ‘Nature’ provides evidence of sporadic extreme rainfall events affecting low-frequency intra-seasonal nature of rainfall and seasonal mean during the monsoon over India by changing the vertical shear of zonal winds and the stability of the atmosphere. “The seasonal mean and the nature of rainfall patterns in different spatial and temporal scales are changing, and that anthropogenic attribution to these changes is beyond a reasonable doubt,” the report observed. “Besides, overutilisation of water for irrigation and hydropower generation with minimised maintenance of minimum ecological flow is another reason for decreasing water level in reservoirs,” adds KC Joy, secretary at Society for Promoting Participative Ecosystem Management. Right now, around 37 out of these 91 reservoirs have hydropower benefit with installed capacity of more than 60 Megawatt. Ever-increasing pollution load in feeder river and its tributaries again impact the quality and quantity of water in reservoirs. Going by the study conducted by the Central Pollution Control Board in 2013, the number of contaminated rivers in the country has more than doubled over the past five years. This is mainly due to deposition of untreated sewage and industrial effluents into the rivers. Despite all these facts, a press release by the Ministry of Environment, Forest and Climate Change in February 2018, presented another story. It mentioned that the annual average flow data maintained by the Central Water Commission for the last 20 years for major/important rivers in the country does not indicate any significant reduction in water availability.